Developer and distributor of mouthguards and teeth whitening products, Impression Healthcare (ASX: IHL) recently provided a promising operational update which resulted in a substantial share price rerating. As a backdrop, the company’s key products are Gameday Mouthguards, Instant Teeth Whitening (ITW) and Denti, all of which are successfully providing consumers with a more affordable option than traditional dental products. With sales increasing more than 370% on a year-on-year basis in March, and quarterly revenue for the three months to March 31, 2017 exceeding full-year revenues for calendar year 2016, it wasn’t surprising to see the company’s share price spike more than 20%. However, there could be more upside to come given that the company is only just starting to gain traction from extensive media campaigns which feature high profile ambassadors from popular sporting codes such as AFL, Rugby League, Basketball and Hockey. The company has been preparing for a significant increase in demand for products having expanded its facilities, processes and laboratory inventories to enable the efficient delivery of 50,000 quality custom fit mouthguards per year. 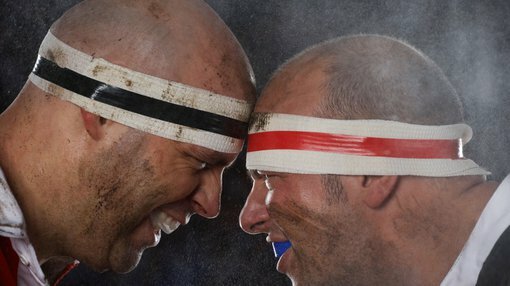 Gameday aims to disrupt the mouthguard market and has developed a business plan whereby customers are able to take an impression of their teeth at home using the Gameday home impression kit, posting the impression back to Gameday and receiving a custom fit mouthguards in a short turnaround period. Via its wholly-owned Gameday International subsidiary, IHL has entered into a number of partnership agreements with sports bodies at state and national level. This has taken its total marketing reach to more than 1 million members and participants of grassroots sporting associations. These partnerships were established ahead of the commencement of the 2017 sports season, providing the group with direct marketing access to its target customer base. Given that the company’s addressable market was much smaller in 2016 the traction gained from agreements forged with numerous sporting bodies in the last 12 months will reflect in the company’s sales growth figures in 2017/18. 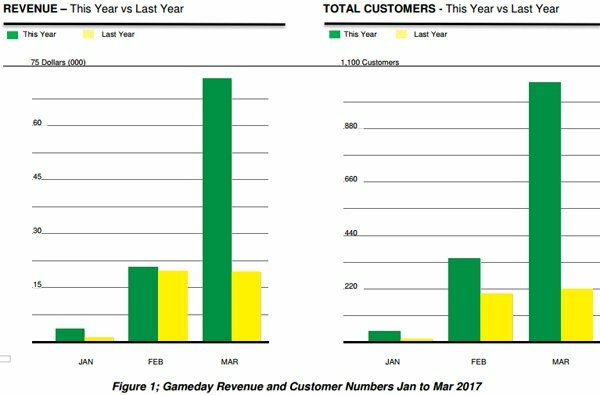 Consequently, the substantial increases in revenues and customers illustrated in the following charts is likely to be surpassed in the coming 12 months. In March, the company made the transition from a single product company as it launched the Denti and ITW brands, facilitating expansion into the teeth whitening industry. ITW is positioned as a mainstream, at home, teeth whitening product, providing consumers with a cost-effective, custom fit, at-home teeth whitening solution at a competitive price. Denti is positioned as a premium teeth whitening product and includes a range of teeth whitening and beauty products. It will be marketed as a high quality premium brand to appeal to the discerning customer seeking a luxury product.